Her life is plagued with lucid dreams. As a child, Charlie Jean Carson often played with an imaginary friend. Even after her mother demanded she stop pretending the brown the dog was real, CJ continued to speak with him, allowing his voice to become her constant companion and guide. His is a world death and darkness. 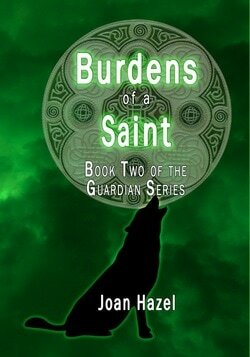 Mika Elkhart does what he must as protector of the Guardians of Haven, even if that means hiding the truth to do so. 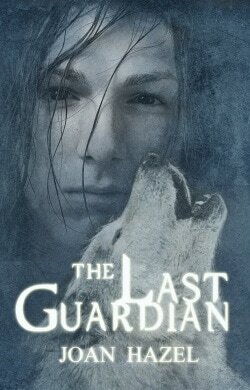 The time has now come for him to reveal his true identity to CJ, and convince her to take her rightful place as the Guardian of Haven, before the world of shape-shifters can come to an end. Without a Guardian, the time of Haven will come to an end. Without CJ, Mika will be lost in the darkness. Always the obedient son, Daniel put his own dreams on hold to run the family farm. Thanks to him, Aaron attended medical school and became one of the most sought after cardiologists and bachelors in all of Montgomery. Beth’s social status is everything Aaron needs in a wife, but she is too curvy, too lush; not the wispy, stylishly thin socialite a doctor of his status should have on his arm. Still, her family’s prominence is nearly enough to overcome her unfashionably curvaceous silhouette. Aaron is everything Beth should desire in a husband, but should is not enough. Where is the passion she knows must lie beneath the surface? Where is the fulfillment she craves? Her relationship with Aaron often leaves her confused and disappointed. ​Fifteen incredible authors have come together with stories of love, passion, pain, and triumph in support of Autism research. Pieces of the Heart by Authors for Autism is a collection of romance short stories of various genre and styles. Contemporary, fantasy, comedy, historical, and drama, all combined in an assembly of sweet short reads to fill your heart with emotion. All of the proceeds of every sold copy of Pieces of the Heart will be donated toward Autism Research. This is a cause near and dear to every author involved in this project, and they are all excited to share these beautiful stories with all of you.